RPC Telecom can provide consultancy support and systems engineering design and studies for most telecommunications systems, especially those related to fixed, mobile or broadcasting satellite and radio communications systems. A particular strength of the company is in the area of satellite and radio communication system interference analysis, frequency coordination and radio-regulatory support. All aspects of frequency and orbit coordination of satellite networks, under ITU Radio Regulations Articles 9 and 11 and under the Appendix 30, 30A and 30B procedures. The preparation of technical analyses and strategies for frequency coordination meetings, negotiation and client support during those meetings, the development of slot protection methodologies and documentation, and the ongoing protection of filed satellite slot assets through regular review and processing of publications in the ITU’s International Frequency Information Circular. 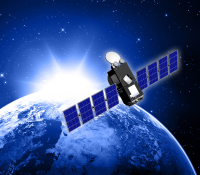 Satellite and radio communications network spectrum sharing and interference related analyses and studies, including the production of appropriate modelling software and tools. The conducting of studies into the technical and regulatory aspects of telecommunications networks and systems, especially satellite and radio communications networks.